A full quarter of a century into the era of the modern consumer internet and many are still grappling with the fundamental problem that is “digital transformation”. One reason businesses are still faced with this challenge is because it can’t be solved the way most transformations are - with money and management consultants. Instead, it requires the expertise of a new breed of corporate leaders - software developers. 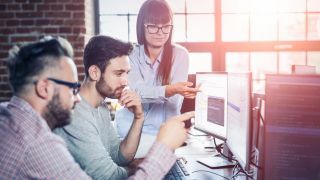 As our global economy increasingly comes to run on technology-enabled rails, the demand for high-quality software engineers is at an all-time high. A recent study from Stripe and Harris Poll found that more than half (53%) of executives said that scarcity of developer talent is a greater threat to business growth than access to capital. And yet, despite being many corporations’ most precious resource, developer talent is all too often squandered. It is predicted that the time developers spend on maintaining legacy systems or dealing with the ramifications of bad software will cost the UK economy £76 billion over the next 10 years. This is worrisome given the outsized impact developers have on companies’ chances of success. Software developers don’t have a monopoly on good ideas, but their skill set makes them a uniquely deep source of innovation, productivity, and new economic connections. When deployed correctly, developers can be economic multipliers—coefficients that dramatically ratchet up the output of the teams and companies of which they’re a part. For CFOs, this means considering your allocation of developer time just as carefully as you would consider your allocation of money. If not C-suite, then as top lieutenants. Including software developers directly in strategic business decisions will ensure you have the right product roadmap, the right team, and ultimately the right technology strategy for long-term success—and that you’ll avoid the pitfalls of increased technical debt and unnecessarily wasted developer time for years to come. Fully embrace the cloud. Not just for storage and compute, but for every business function that’s not unique to your business—from messaging, payments and CRM, to planning, accounting, and inventory management. Put your developers on higher-impact projects. If you’re considering buy vs. build, the answer is simple: buy. Unless you're Amazon or Microsoft, you shouldn't be deploying engineers to build data centres. Similarly, your developers should be working on what makes your business unique. As digital transformation remains top-of-mind for every company, it’s critical to empower developers with the tools, infrastructure, and guidance to move more quickly. By increasing the multiplying power of developers—the developer coefficient—you can make better use of the resources you have and ignite steeper business growth.